Organic Pâté made various ingredents. Buy Mackerel Pate with Pepper Ecological, Pan do Mar, 4oz. Pack. Organic Fish Pate with Pepper traditionally made with mackerel fillets, bones and skin clean, peppers, onion, garlic, and olive oil extra virgin organic origin. 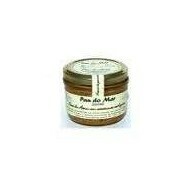 Buy Organic Tuna Pate with Olives, Pan do Mar, 4oz. Pack. Ecological Tuna Pate with Olives. Tuna fishing conducted controlled and sustainable, clean bones and skin. Obtained: Ecological Tuna Pate, hojiblanca olives, onion, garlic, pepper and olive oil extra virgin organic origin. 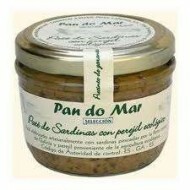 Buy Ecological Sardine with Parsley Paté, Pan do Mar, 4oz. Jar. 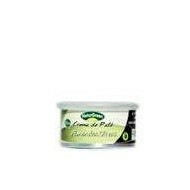 Organic Sardines with Parsley Pate made with sardines area northwest of the Iberian Peninsula, bones and skin clean. Fish pate made with sardines, onions, garlic, pepper and olive oil extra virgin organic origin. Gluten Free product. 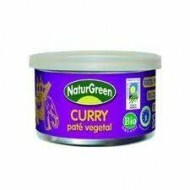 Buy Organic Vegetable Curry Pate, Naturgreen, 4oz. Pack. Delicious Organic Vegetable Curry Pate made this ingredients, vegetable oil, pineapple, brown cane sugar, curry, pepper, celery, herbs, etc.. Product Gluten free, lactose free and 100% vegetable. Pate special gourmet vegetarian diets. 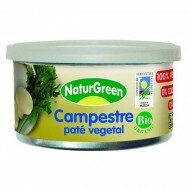 Buy Organic Vegetable Pate Campestre, Naturgreen, 4oz. Pack. Delicious Vegetable Campestre Pate with organic plant products, among other ingredients made with vegetable oil, onion, mushrooms, vegetables, herbs, etc.. Product Gluten free, lactose free and 100% vegetable. Pate Special Gourmet meals and vegetarian diets. 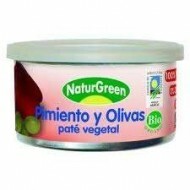 Buy Organic Vegetable Almond Pate with Olives, Naturgreen, 4 oz. Pack. Vegetable pate with almonds and olives from organic farming, among other ingredients prepared with vegetable oils, olives, almonds, brown cane sugar, onion, herbs, etc..Special Gourmet Pate meals and vegetarian diets. Buy Organic Vegetable Almond Paté with Carrots, Naturgreen, 4oz. Pack. Delicious pate made with organic plant products, among other ingredients prepared with vegetable oil, carrots, almonds, herbs, etc.. Product gluten free, lactose free and 100% vegetable. Special Gourmet Pate meals and vegetarian diets. 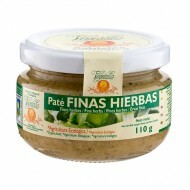 Buy Organic Vegetable Pepper Paté with Acitunas, Naturgreen, 4oz. Pack. Delicious pate made with organic vegetable products, among other ingredients prepared with vegetable oil, pepper, onion, olives, extra virgin olive oil, herbs, etc.. Product Gluten free, lactose free 100% vegetable. Gourmet espcecial Paté meal and vegetarian diets. 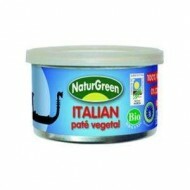 Buy Organic Vegetable Pate Italian, Naturgreen, 4oz Pack.Delicious Vegetable Pate made with organic ingredients. This Italian pate was prepared among other ingredients, tomatoes, black olives, extra virgin olive oil, herbs, etc.. Product Gluten free, lactose free 100% vegetable. Pate Special Gourmet meals and vegetarian diets. 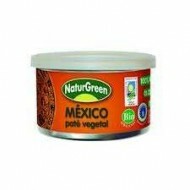 Buy Organic Vegetable Mexican Pate Naturgreen, 4oz Pack. Delicious Vegetable Pate made with organic ingredients. This Mexican pate has been prepared among other ingredients, vegetable oils, pepper, onion, celery, carrot, herbs, etc.. Product Gluten free, lactose free 100% vegetable. Pate Special Gourmet meals and vegetarian diets. Buy Organic Vegetable Algae Pate, Vegetalia, 4oz. 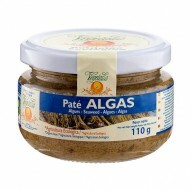 Delicious Organic Algae Pate. Vegetable Pate made among other ingredients, with extra virgin olive oil, sea spaghetti algae, herbs, etc.. Product Gluten free, lactose free, egg free and 100% vegetable. Special vegetarian diets. Buy Organic Vegetable Black Olives Pate, Vegetalia,4oz. 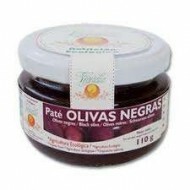 Delicious Black Olives Pate Ecological origin. Vegetable Pate made among other ingredients, vegetable oils, olives, herbs, etc.. Product Gluten free, lactose free, egg free and 100% vegetable. Special vegetarian diets. 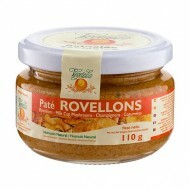 Buy Organic Vegetable Robellons Pate, Vegetalia, 4oz. Delicious Ecological Rovellons pate. Vegetable Pate made among other ingredients, with extra virgin olive oil, rovellones, paprika, herbs, etc.. Product Gluten free, lactose free, egg free and 100% vegetable. Special vegetarian diets. Buy Organic Vegetable Piquillo Pepper Pate, Vegetalia,4oz. 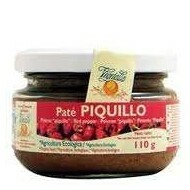 Delicious organic Piquillo Peppers Pate. Vegetable Pate made among other ingredients, with extra virgin olive oil, piquillo pepper, black and red pepper, herbs, etc.. Product Gluten free, lactose free, egg free and 100% vegetable. Special vegetarian diets. Buy Organic Vegetable Fine Herbs Pate, Vegetalia,4oz. Delicious Fine Herbs Organic Pate. 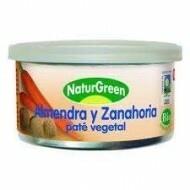 Vegetable Pate made among other ingredients, with extra virgin olive oil, garlic, herbs de Provence, black pepper, etc.. Product Gluten free, lactose free, egg free and 100% vegetable. Special vegetarian diets.